Also called solarium, patio room or greenhouse, a sun room is an excellent addition to the home that increases the value of the house, and provides a space to relax and enjoy the beauty of the nature. There are several ways to build a sunroom. One is to buy a sunroom kit and install it as per the instructions. The second is to purchase a pre-made conservatory from a manufacturer, and the third is to design and build the structure from a scratch. Here is a stepwise guide to build do-it-yourself sunroom. While designing the sunroom, do take a look at the pictures of solariums in magazines, catalogs, brochures and leaflets. Internet is also a good place to search. Explore and examine as many designs as possible. Take up the attractive features of different designs and put in your ideas as well. Keep the purpose of the room in mind while designing it. It should be noted that greenhouse with a tilted front is the easiest DIY design. The primary purpose of the sunroom is to lock in as much solar energy as possible. For this reason, it should face the sun for the maximum amount of time. The doors and windows of the solarium should be towards the solar south. Take the help of a seasoned weatherman to find the solar south because it is different from compass south. 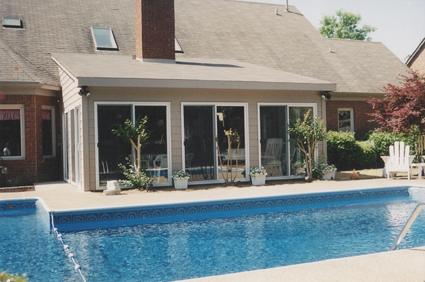 Sunrooms that face the solar south generate passive heat during the cold winter months. Moreover, they allow the plants to grow all the year round. The structure should be energy efficient. To ensure this, the right kind of building materials should be used. Thermal mass materials are considered to be the best because they efficiently conduct and store energy and release it whenever it is needed. Brick is a good thermal mass material. It can be used to build the floor. Likewise, water is also an excellent thermal mass material. A water pond full of water lilies and duckweeds will make the greenhouse look beautiful as well as dramatically reduce the electricity bills. Light colored wall and roof also make the sunroom more energy efficient. Pressure-treated wood is considered to be ideal building material for the sunroom. Aluminum can also be used. 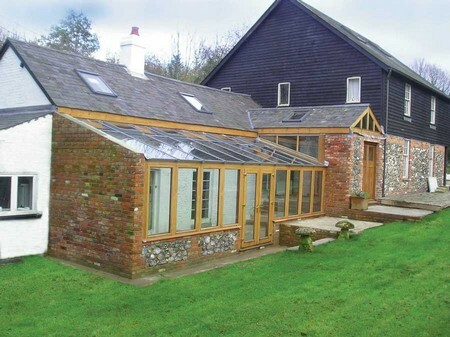 It is advisable to stain and paint wood before using it for building the conservatory. Double glazed windows should be used because they are not only durable, but they also reduce glare and provide perfect insulation. To provide outstanding stability and resilience, the frame of the sunroom should be erected on a slab foundation.